Includes the names: G.A. Aiken, G. A. Aiken, Shelly Laurenston, Shelley Laurenston, Shelly Laurenston, et al. G.A. Aiken is the pseudonym of Shelly Laurenston. Aiken's "Dragon Actually" is a reissue of Laurenston's "To Challenge A Dragon," while "About a Dragon" is a reissue of "The Distressing Damsel." Shelly Laurenston's book Wolf with Benefits was available from LibraryThing Member Giveaway. Shelly Laurenston's book Supernatural was available from LibraryThing Member Giveaway. Shelly Laurenston's book Big Bad Beast was available from LibraryThing Member Giveaway. 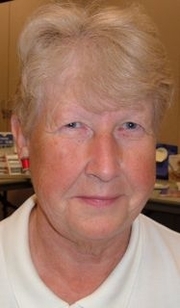 Shelly Laurenston is currently considered a "single author." If one or more works are by a distinct, homonymous authors, go ahead and split the author. Shelly Laurenston is composed of 6 names. You can examine and separate out names.